In honor of 2014's 2nd GBV album, Cool Planet, 4 separate 7''s were released. The A-sides each contained a cut from the upcoming LP, while side-B featured an exclusive track. Each were limited to 1000 copies, some sold through the Rockathon webstore, others through retailers. Each of the 4 7'' singles were pressed on a different color wax. This one.....opaque red. 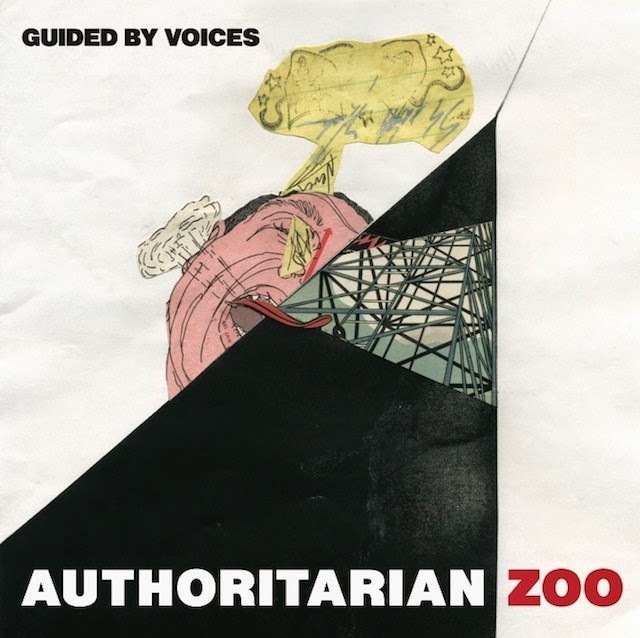 Authoritarian Zoo- Same version that appeared on Cool Planet. Read the review over there. Cool Planet Theme- 3 A full on instrumental track. The recording of Cool Planet brought upon the return of early 2000's return of drummer Kevin March. And with that comes this Kevin March penned tuned. Bouncy and propulsive, carried by it's faux horn march track. Not a bad tune. Just a bit of a forgotten blip on the back of a b-side.